Majorelle Spa is located in Hotel Californian in Santa Barbara. Hotel Californian, is a seaside destination that has 121 guest rooms, it features a rooftop pool and event deck providing panoramic views of the coastline and the Santa Ynez Mountains. Located steps from the beach, one block from Santa Barbara Amtrak Station and adjacent to Santa Barbara’s vibrant Funk Zone, the Hotel Californian is a gorgeous beach spa inspired getaway. 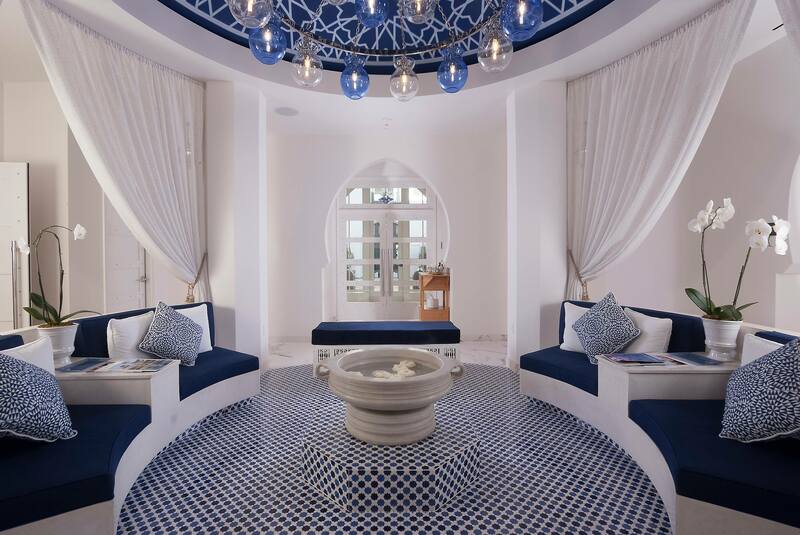 Majorelle offers one-of-a-kind spa treatments that are tailored to your own spa and wellness needs. When you step into Majorelle, Moroccan blue can be found in the traditional tiles, windows, and doorways. It’s deep hue soothes, while the rich indigo pigment inspires intense revitalization. 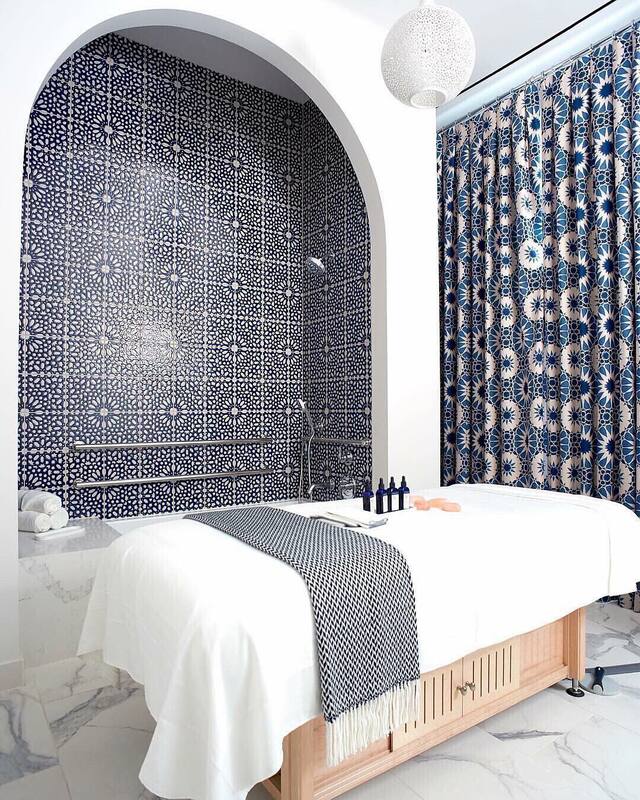 Majorelle has 4 individual treatment rooms, men & women’s steam rooms, salt massages along with baths, face and full body treatments. They have a couples suite which is know as Azure and it also features a beautiful Moroccan design with hand-painted ceramic tiles, a private shower, and a deep soaking bath tub and to enhance your couples massage, the Bath Butler service is also available, so you can have an intimate magnesium soak with sweet birch to sooth sore muscles and stiff joints. For their hand and foot treatments the use high-quality products from Margaret Dabbs London and you can book out the whole Nail Salon to host a private party also. You are covered literally Head to Toe at Majorelle because, you can even book in for a Hair Style and Blow Out making it perfect when getting ready to go out. Majorelle is a one-stop destination for all things spa, beauty, hair and wellness. 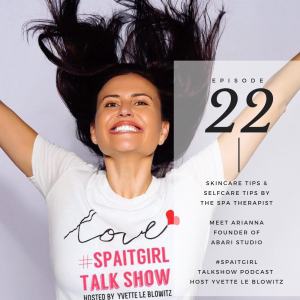 Have you read – It Starts With Me Yet by #Spaitgirl founder – Yvette Le Blowitz?